The battle at Yorktown in 1781 was the last major battle in the Revolutionary War. General Washington and French military officer Marquis de Lafayette, along with French reinforcements, traveled down to Virginia to trap Cornwallis. It was a long war and soldiers had not been compensated for their service. The strategy to leave the New Jersey/New York area and travel to Williamsburg, Virginia was executed perfectly, leaving General Clinton in New York expecting an attack. The troops reconvened in Williamsburg, got their marching orders, and left to capture and attack Cornwallis in Yorktown. Once he realized he had been out witted by Washington and allies, it was too late to get reinforcements to Cornwallis in Yorktown, VA. 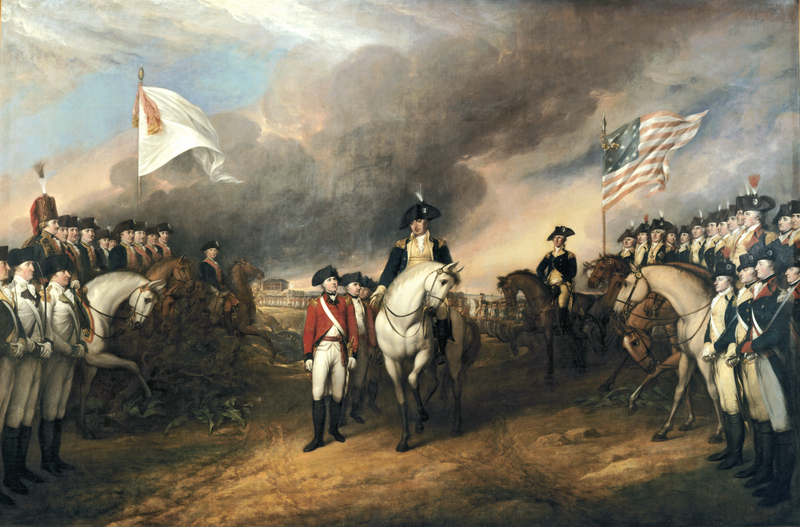 The subsequent attack on Yorktown forced Cornwallis and his men to surrender. The victory gave the Americans a huge morale boost and began the British free-fall to surrender and voyage back home to England. On to Yorktown and Victory! Most people want to be successful, to be victorious. We work hard and try our best to gain victory. However, it is different with our spirituality. Spiritual victory is not in our own achievement or progress as a person. It is not moving up in the corporate world. It is not based on how much we own, or even how religious we are. We go our own way and try our own path, but can never win. So, how do we achieve victory? 1 John 5:4-5 says “For whatever is born of God overcomes the world. And this is the victory that has overcome the world—our faith. Who is he who overcomes the world, but he who believes that Jesus is the Son of God?” True victory was purchased 2000 years ago when Jesus suffered and died on the cross, was buried, and rose again on the 3rd day. God provided the sufficiency of salvation, and now it’s our turn to respond. As the Apostle John said, it is our “Faith” which brings us victory. This victory is over death and sin brings us life and the riches of the grace of God. For the brave patriots defending their land against a tyrant king, victory was found at Yorktown. For you and me, victory is found at the cross and the resurrection of Jesus Christ.